You got up early again in St. Martinville and, after waving goodbye to the racers, you took a few minutes for coffee and a cajun breakfast. Then it was off to New Iberia, for the first full day of sightseeing. No rush because this was a 60 mile day and only the fastest would get to Franklin before dark. This was the day you were glad to be in a car instead of a boat. Besides, St. Martinville was hosting the Acadian Festival and, after you put your racer to bed last night, you went out on the town to enjoy more of the party. Between the Cajun accents and the French you heard from the Canadians, you were wishing you’d paid a little more attention in French class way back in high school. 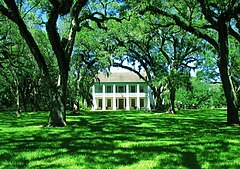 visit their main street, see Shadows on the Teche (nothing like a plantation) and Rip Van Winkle Gardens. for a tour of the gardens and a late lunch. 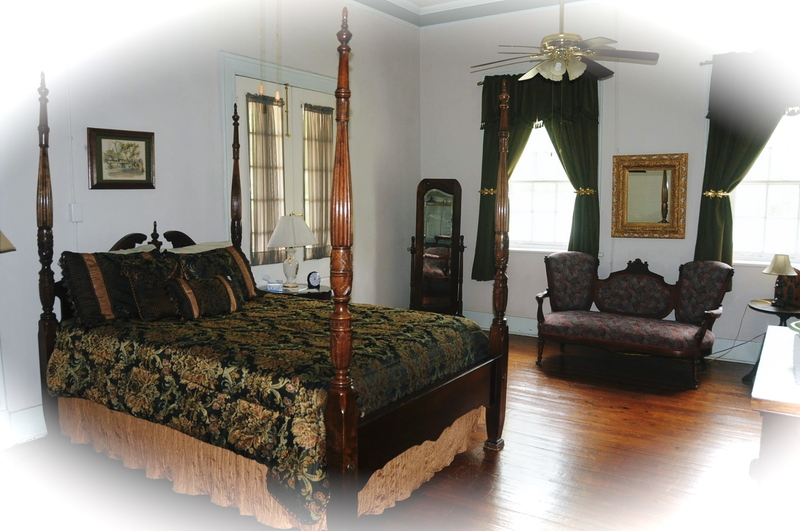 Then it was on the road again to swing by Albania Plantation in Jeanerette before moving on down the road to Franklin for a stroll through the historic district, and visits to the Grevemburg House Museum and Oaklawn Manor. It was a long day but it wasn’t over. Down to the finish line to welcome the racers, watch the action, and enjoy the party. 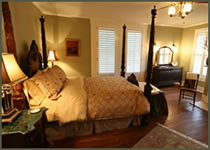 Then it was off to your room at the Fairfax House for another night’s great sleep. My first dispatch did a little good. My son, Christian, and one of my best friends, Jim, tell me they’ll be in the water with me in October. How about the rest of you? If you’re athletically inclined this is right down your, uh, bayou. I started that tab “Teche for Tourists” a while ago and just the other day put “Teche for Racers” up for Jim and Christian. Take a look at that part of the blog if you want to paddle with me. If you’re more interested in the tourist side of things, you can hook up with my ground crew and my friends Rich and Chris, as they cheer us on and enjoy Cajun country from the shore. If you’re still thinking about it take a look at this post and the next and talk yourself into a different sort of vacation. OK, on to day two. We left our imaginary paddler heading for bed in St. Martinville after a successful first day on the bayou. 4:00: It’s way too early but you have to get up. You wish you’d have re-fit the boat last night but it won’t take long. Besides, you slept better than you have for years. You’ll leave a few things behind today that you realize you didn’t need anyway. Just added weight. Half the water (4 pounds out) and half the snacks (another couple of pounds) get left behind today. By 6:50 you’re in the boat and on the water again ready for the second day start of the race. You’re looking at new faces of people who are competing in the second 1-day race and some of the faces you saw yesterday. You’re smiling thinking you’re one of the few that are willing to do the whole thing. You’ve done a little research on this ultra marathon canoe thing and found that there aren’t really that many big races, at least not compared to sports like running. There’s the Texas Water Safari (260 miles in Texas), the MR340 (340 miles in Missouri), the Yukon River Quest (460 miles in Alaska), the AuSable (120 miles in Michigan), the Colorado River 100 (100 miles in Texas), the Everglades Challenge (300 in Florida), the Ultimate Florida Challenge (1,200 miles in Florida but that’s not ultra, it’s insanity), and the TdT at 130 miles. OK, so it isn’t as long as some of those others. But if you add up all the people who do these every year it’s only a small percentage of the number of runners who complete marathons. And you’re a day and a half from joining their ranks. It feels good. You managed over 40 yesterday and know that 60 is possible. It will be along day but you feel good and you’re ready to go. Once again they start the race. This time, though, you aren’t distracted by all the other boats and you put the hammer down right away. This gets you out in front a little more and ahead of all the chop generated by the flotilla behind you. Pushing your boat through relatively calm water is much, much easier than cutting through all the waves coming from every direction. You settle into your pace fairly quickly, a pace you know you can sustain, and you’re moving along in a pack with six other boats. You take turns in the lead and find that it’s easier in a group than alone – and more fun. Still, the first few miles of the day are always the hardest. Your arms begin hurting within the first 1/2 mile. After the first mile they’re on fire. By the second mile, though, they’re too tired to keep doing all the work and you start paddling like you know you should anyway. The arms stay almost rigid and just swing from side to side while those big muscles in your stomach and back do the work. Now it isn’t quite so bad. The only worry is sitting upright as you push with your lower back, through your hips, and through your legs and feet down to the boat. Who’d have thought this would be a sport where you’d use your legs? 8:00 and you’re coming to a small dam. You pull off for the first “official” portage of the race. The first actual portage was just a mile back when you had to drag the boat out and pull it along the bank to get around an area jammed with water hyacinth. No big deal, these are short portages and you hump the boat around the dam and back into the water. It’s 1:00 and you’re in New Iberia. the “Hot Sauce” race ends here and again there’s a crowd of cheering people. This time, though, the action on the bank is bigger and better. New Iberia is the biggest town you’ve seen yet and it’s Saturday so a lot of the local folks have come down to enjoy the fun. Beyond the locals there are a ton of folks in town for the World Championship Gumbo Cookoff! These Cajuns sure know how to have a good time. You’ve seen people along the banks since the start yesterday cheering for you. Some of the smaller towns have had their volunteer fire departments out with the sirens going. A few times you’ve been asked to stop to join people as they picnic and grill along the Teche. You’ve come over half way to the finish line. Your body is feeling the stress but you’ve noticed something odd. The pain seems to get worse for a while, and then level off. It’s at a level you can handle and you realize this isn’t as much a physical challenge as it is mental. You’ve also noticed that there isn’t as much talking today as there was yesterday. You paddle along next to someone for thirty or forty minutes sometimes without exchanging a word. It’s OK, though, you enjoy the company and it leaves you to your own thoughts. This is sugar cane country and you passed a sugar cane processing plant a few miles back. Now, your first cane barge is coming up toward you. These are a lot smaller than those on the Mississippi and Missouri but, then, the Teche is a lot narrower! You pull off and hug the left bank while it goes by and immediately nose back out into the waves it generates. They aren’t big. Just enough for a little wake up and then they’re gone. 4:30 and the Jeanerette rest stop is on the right. You spent too much time at the last stop. But New Iberia was too much fun and, heck, this is also a vacation. 15 minutes is all you’re allowing yourself in Jeanerette and you’re back on the bayou. Passing Bayside you wave at the people touring the plantation. Your ground crew said they’d be here but they must have already come and gone because they’re not in the crowd. 6:30 and the Chitimacha check point is here. This is the Indian Reservation for the Chitimacha tribe. They named this bayou the Teche and it means snake in their language. They say “Qukx Caad ki nuudina” about you and the rest of the racers: “They ride on Snake Bayou.” You pull over with a couple of other boats to rig your lights for the evening and hit yourself with a big dose of bug juice. What a combination: sun block, sweat, swamp water, and now insect repellent. The last time you saw your ground crew they joked that you didn’t smell too bad for someone who’d been bathing in a swamp. You know they were joking because, at th is point, even the ‘gators are swimming the other way when you come along. Only 7:45 and it’s the Baldwin rest stop. This will be a really short one. You’re itching to finish it for the day. Standing around on shore just prolongs the heat, bugs, and sore muscles. The only good thing is that the temperature has gone down with the sun. A half mile past Baldwin is the Charenton Cut. Go the wrong direction here and you’ll be in the Gulf of Mexico very quickly. And just out into the gulf is Marsh Island – that’s where the largest ‘gator ever recorded was found. Over 19 feet and nearly 2,000 pounds. Uh, better to watch your direction and tour the safer waters of the Teche. And it’s only about ten miles more to the finish for the day but that could be another couple of hours depending on how the current is flowing. Now’s the toughest part of the race. You’ve gone about 50 miles. Further than you ever did when practicing for this. You’re running on guts at this point because you don’t have much left in your physical reserves. You’ve been trying to eat as much as possible but eating just means you aren’t moving, and you hate that. This much work uses up to 500 calories an hour but the human body can’t absorb more than 350 calories an hour – no matter how much you eat. You can feel that you’re past burning food and into burning fat and muscle. And you’re starting to cramp up. Those little bottles of pickle juice you packed help put salts back in the muscles and you start hitting pickle juice shots. This is the time when that little voice inside starts telling you that you can quit now. You’ve come a long way and you don’t need to prove anything more, do you? You can pull out now, load up the boat, enjoy the party, and relax tomorrow. But, you tell yourself to go one more mile; then one more mile after that. You push that little voice back, saying you’ll consider pulling out of the race – tomorrow morning. 10:30 and you’re on the bank in Franklin. The Sugar Race ended here. There was a lot of cheering for those who entered this short race, and more for those of you who are going the distance. A lot of the TdT racers finished ahead of you and are on the dock waiting to help you out of your boat. You haven’t seen most of them since this morning but there’s a bond between you. You’re smiling inside knowing that tomorrow you’ll put your boat in the water and finish it. You’ve come over 100 miles. Ultra marathon distance by any measure. And still another 30 or so to go. After today you know you can do it. The party is in full swing and you allow yourself to walk over for a cold one. Oddly, although you’re tired and smelly, you leave the PDF and hat on and stand around for a few minutes comparing notes with the other racers. The gear feels almost part of you at this point and it’s sort of a badge of honor that sets you apart from those who’ve seen this race only from the shore. Besides, you’re almost too tired to take it off. A quick plate of shrimp and crawfish, a serving of corn on the cob and potatoes and you’re off. You’ve had the cold beer and now it’s time for a hot shower – and bed. Next installment – Shore Leave Day 2. Then, will our paddler get back in the water for the last day and make it to the finish?